SANTA MONICA, Calif. – July 24, 2014 – Toto Temple Deluxe, the fast paced smash-and-dash title from Juicy Beast, is now available exclusively on OUYA for $9.99. 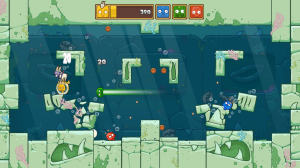 Juicy Beast previously developed the hit platformer Knightmare Tower, and has brought the same quirky art style to the local multiplayer genre with Toto Temple Deluxe’s outlandish take on a game of keep-away. Acclaimed as one of Yahoo Tech’s Top 10 Family-Friendly Games, Toto Temple Deluxe is a must-have for anyone with a penchant for party games. To get a glimpse of the goat-play firsthand, check out the launch trailer: https://www.youtube.com/watch?v=BXoVesBXP94&feature=youtu.be. 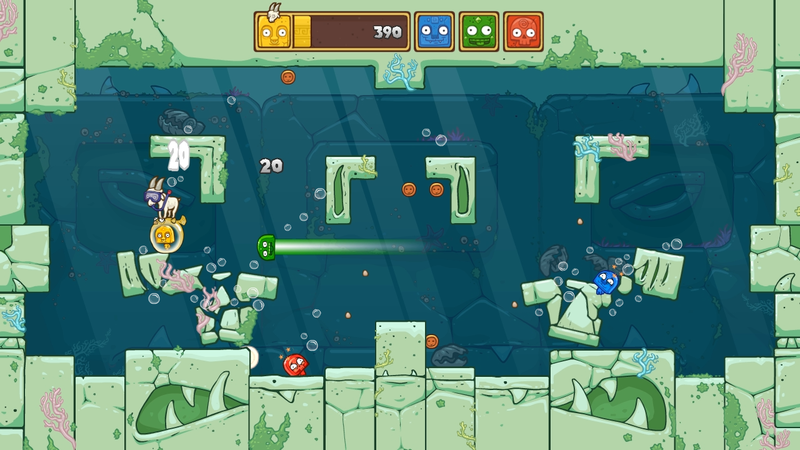 You can also download the press kit containing art assets and screenshots here: http://juicybeast.com/press/sheet.php?p=toto_temple_deluxe. In Toto Temple Deluxe, players compete to earn points by taking hold of a temple’s sacred gold-spouting goat. 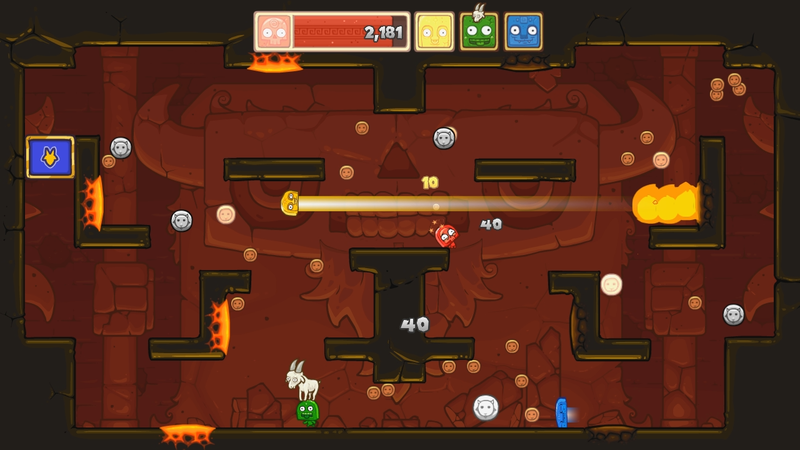 Up to four players can battle each other in six different temples to collect coins and grab the goat, using nine unique power-ups to hunt down their opponents or protect their lead. 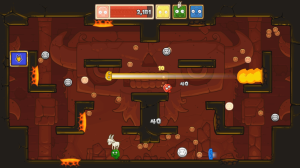 With three different game modes – free-for-all, team battle, and single-player – Toto Temple Deluxe lets players do whatever floats their goat. To learn more about Toto Temple Deluxe, contact TriplePoint PR at ouya@triplepointpr.com or (415) 955-8500. OUYA is a new kind of game platform that enables any creator to publish a game for the TV. Launched with the OUYA game console in 2013, OUYA has hundreds of games from established AAA developers to emerging game artists. The OUYA also has plenty of entertainment content in 1080p HD quality. OUYA, built on an accessible and open platform, was envisioned by founder and CEO Julie Uhrman. The OUYA console was beautifully designed by award-winning designer Yves Behar. Juicy Beast is an independent game studio composed of 4 developers, focusing on unique and original casual games. Juicy Beast was co-founded in June 2009 by Yowan Langlais and Dominique Lemire-Nault, soon followed by Alexandre Dazé-Hill and Jean-Philippe Côté. The studio has released more than 10 Flash games, including Burrito Bison, Burrito Bison Revenge and Knightmare Tower, which is now available on iOS, Android, and OUYA. For more information please visit www.juicybeast.com.